Lloyd Daniels learned to hoop on the playgrounds of Brooklyn and Queens during the 1980s. “Swee'pea” they called him. His rep on the court traveled all the way to the Bronx, and across the country, earning him enthusiastic comparisons to the likes of Magic Johnson. Swee'pea was sure to make it to the big time and out of a New York City where drugs and violence had gripped many of its neighborhoods. Eventually he did, leaving the city's asphalt courts for the shiny hardwoods of NCAA programs, minor pro-leagues, and eventually the NBA. He took with him, however, a drug habit, a learning disability, and a reputation for self-destruction. 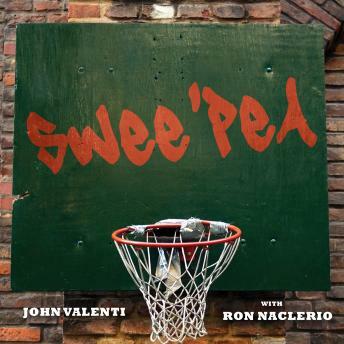 With Swee'pea, Newsday reporter John Valenti and celebrated New York City high school basketball coach Ron Naclerio brilliantly capture how an athletic phenomenon becomes both a product of his environment, and his own worst enemy. Supplementing Daniels' enigmatic story are profiles of basketball successes like former NBA stars Kenny Anderson, John Salley, and Mark Jackson-and tragedies like Earl “The Goat” Manigault, Richie Adams, and Tony “Red” Bruin-who never made the league.